For this project, Dunn repaired and replaced damaged sheets. Installed additional screws to upgrade roof to UL90 design system. Installed foam closures along leading edge. Removed existing roof curbs, fans and replaced roof sheets to match existing. 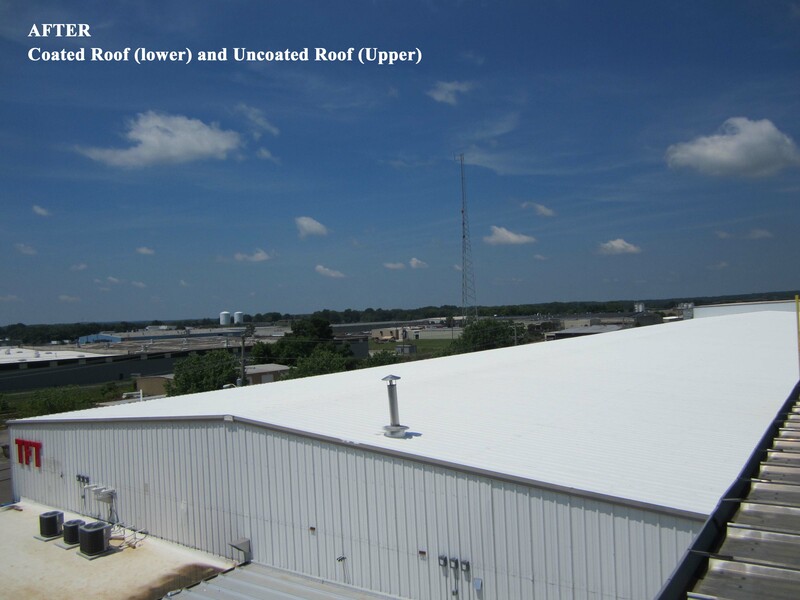 Applied EraGuard 1000 roof coating system by ER Systems and furnished Owner with a 10 year labor and material warranty.